Summer is here and that usually means dealing with the hot, humid weather that can wreak havoc on your hair! No worries, we've consulted our stylists to get the top recommendations for every hair type to keep your locks healthy and groomed all season long. Fine Hair: The new trend in haircare is cleansing conditioners and we're loving a NEW product formulated for fine hair types. 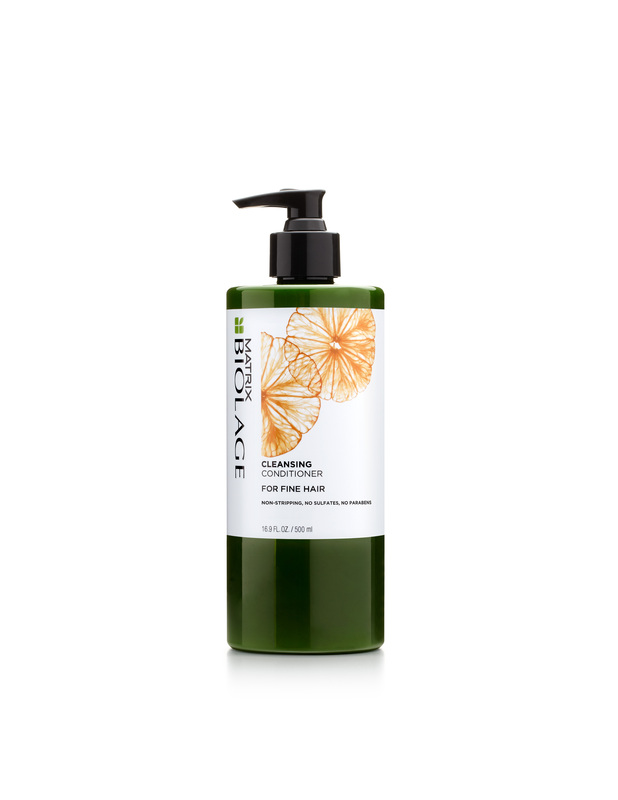 Try Biolage Cleansing Conditioner for Fine Hair. This one step system will add in moisture without weight and preserve your color! For a traditional duo approach, we love Paul Mitchell Lemon Sage Thickening Shampoo and Conditioner. The fresh scent will invigorate your senses while boosting hair volume. Normal Hair: Time in the sun, sea and pool sap moisture from you hair, so it's always a good idea to switch up your haircare to add moisture to your strands with Biolage Hydrasource or Redken All Soft. For a one-step approach, try Biolage Cleansing Conditioner for Medium Hair for easy softness and shine. Natural/Curly Hair: Girls with curls know there is a spectrum of textures that make up the curly category. Thankfully, the Redken Curveceous line has haircare to pamper your ringlets and specific leave-ins for each curl type. Color Treated Hair: Going Blonde or adding full highlights? Then grab some Redken Blonde Idol to keep your blonde cool and avoid brassiness. For brunettes and redheads, we recommend Paul Mitchell Ultimate Color Repair to lock in color and provide UV protection to prevent color fade. Dry/Damaged Hair: Too much heat styling and hair color lifting + any DIY color mistakes can really damage your hair, but we have some products to help repair and rebuild your locks. Check out Redken Exteme (entire line is excellent), Biolage Advanced Repairinside for severe damage, Keratindose for moderate damage, and Fiberstrong for minimal damage. Best NEW Haircare: The latest innovation from Redken is all the rage with stylists and clients. To beat summer frizz, try Redken Frizz Dismiss and add one of the customized leave-in products for your hair type needs. Best for Men: Guys love the invigorating duo of Paul Mitchell Tea Tree Special Shampoo and Conditioner. This formula rids hair of impurities with a refreshing tingle and leaves hair full of vitality and luster. For normal/oily hair grab a brew- Redken Clean Brew. Best Clairifier: It's good haircare maitenance to add in a clairifying shampoo into your routine once a week to remove product build up and hard water minerals as well as any environmental build up. We recommend Redken Hair Cleansing Cream Shampoo or Biolage Cleanreset Normalizing Shampoo. Stay tuned for our Summer Styling Products Must-Haves blog post for all your styling needs! All haircare products mentioned above are available now at your local Hair Cuttery! Have a happy and carefree summer!